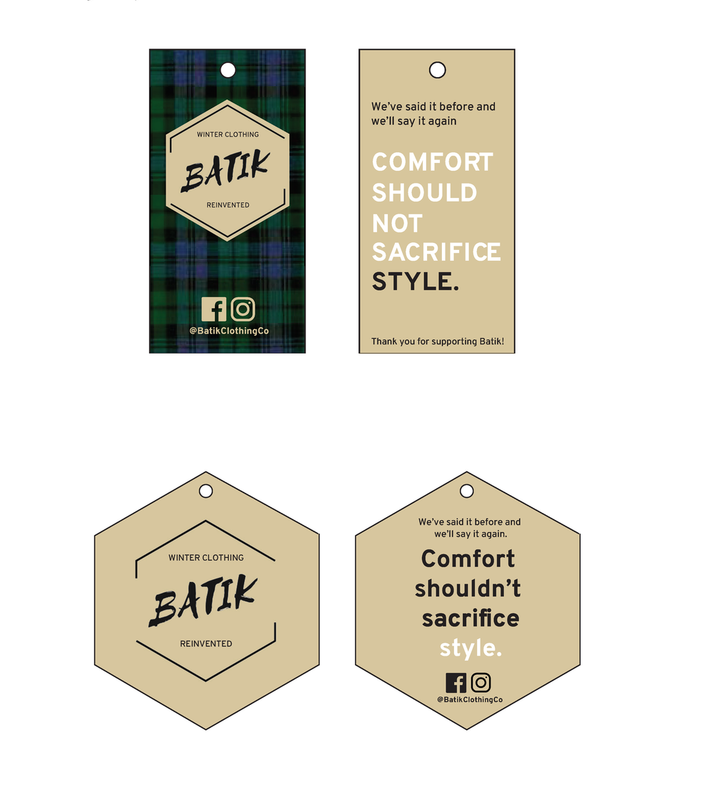 Batik is a local Ann Arbor, MI Clothing Company that is all about warm fashion that is also affordable. It was started by a student at the University of Michigan. His first piece of clothing is a pair of khakis with flannel on the inside but are still durable on the outside. He based them off of the J. Crew pants that are similar, however he aims to keep them cheaper. 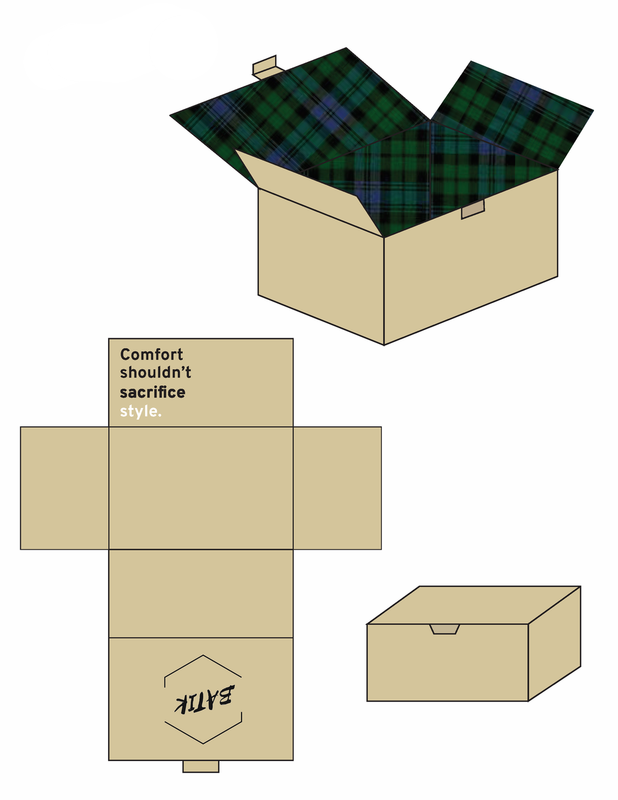 I wanted to emphasize this in my packaging design as well as the logo revamp and tag options for him.